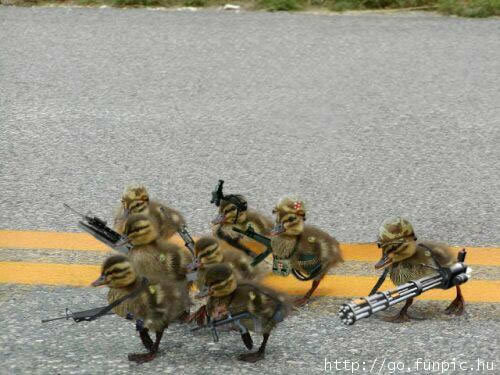 Army Ducks. . Wallpaper and background images in the পশুদের মজার ভিডিও club tagged: humor animal. Attacked দ্বারা the Cute Kittens!!! Funny Pug St. Patrick দিন Diva!